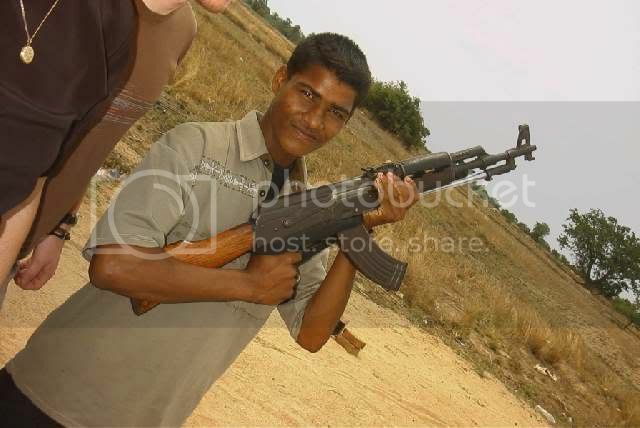 Some more Tamil Tiger action with a Type 56-1. 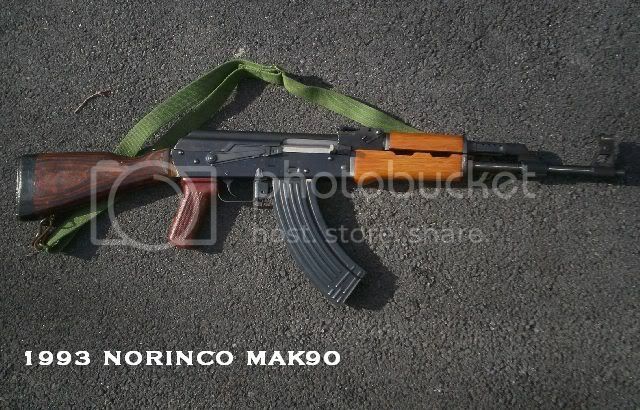 I have a Polytech with the spike like that, I love her... looks exactly like those AKs but this baby has blonde wood. 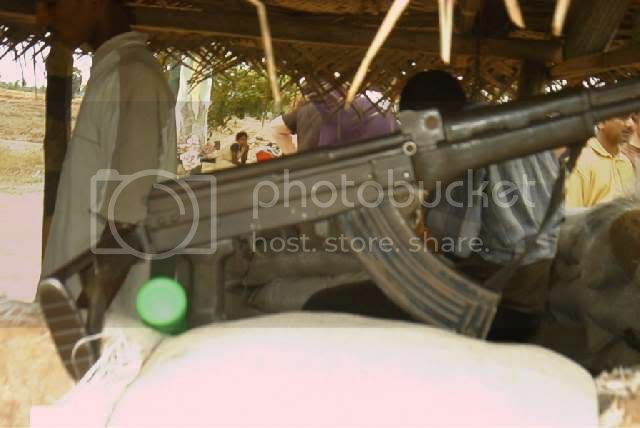 The Type 81 is really not an AK, but an SKS with the rotating bolt of the AK- that is what allows it to use a stamped reciever, since the bolt locks on the barrel instead of into the reciever. 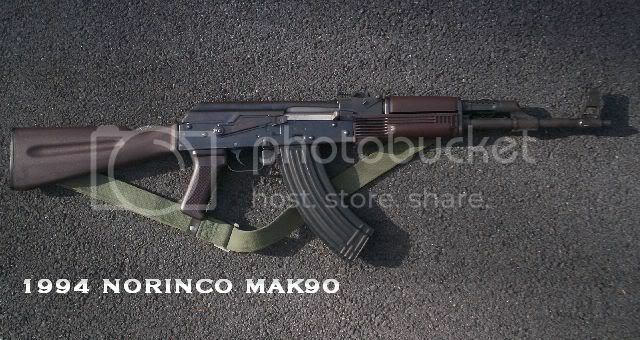 It also has the SKS gas system. Nah... mine is a fixed stock, and the wood has very nice blonde wood with a nicely applied varnish. Also, the pistol grip doesn't have that engraving. But everything else is the same. I would like one like yours, but that's because I have an addiction to spike bayonets and would like an underfolder style rifle. I wouldn't sell my rifle though, the fixed stock is a better shooting platform and considering the accuracy of mine I want to take advantage of it. Your style is pretty nice though! ETA: Hope you have the original muzzle nut. I got a birdcage style flash hider for mine, but like to keep the nut on it when not shooting. Just wanna reserve this spot for a little bit until my new toys arrive. (2) preban Polytechs, one underfolder, one wood stock w/spike bayo. I also have a ban model polytech. 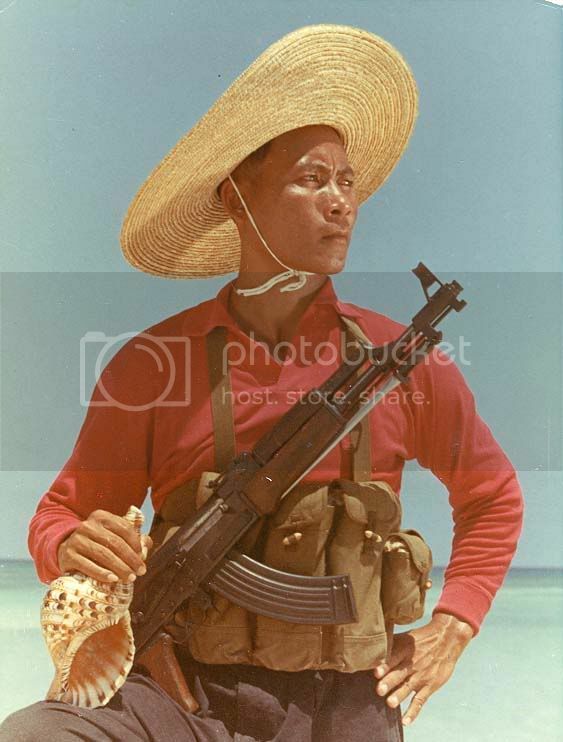 (1) I'd hate to run into South China with the the salmon colored polo and a conch shell (communications device). Seeing that in the jungle would scrare the hell out of me! 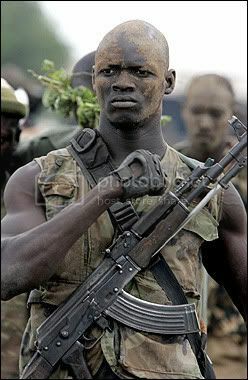 (2) Africa guy looks like Seal. The supermodel he married must have cleaned him up a bit! 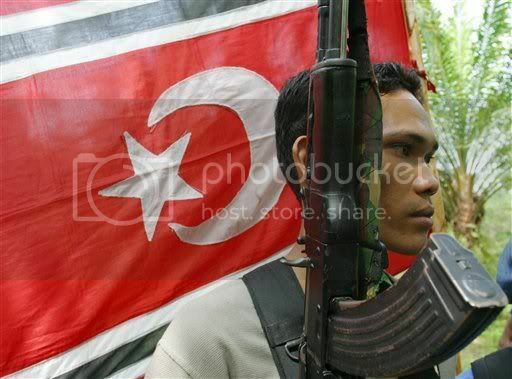 (3) Glock Holiday - that Poly AKS underfolder may be the most beautiful AK I have ever seen. Sell it to me for a great price. I NEED. Glock Holiday, when did you get that, where did you get that, and how much? I want to know what they are worth incase I run into one (I got an all matching SVT-40 with cleaing rod, sling, and scope mount in mint condition for $425 OTD once... and also a deal on my Polytech and SKSs... lets hope I get more luck). I came across it late last year in the local gun shop here in Enid Oklahoma. 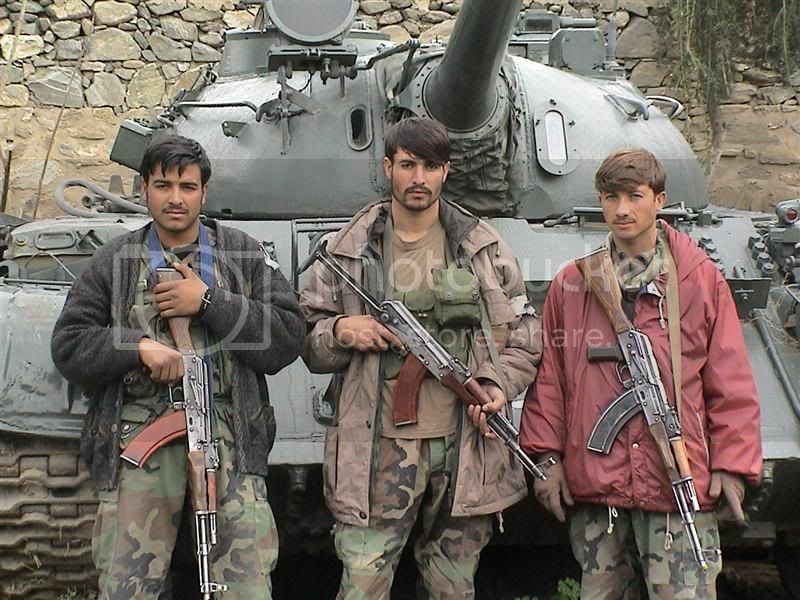 The owner is a friend of mine and knows I like the AK's. I paid just under $700 dollars for it. During the ban I saw them for sale for twice that amount. believe it or not the underfolders aren't too bad to shoot once you get used to them. Alantic Firearms has five different underfolders for sale. I like the Polish one! My MAK - its aint the prettiest but it goes bang.